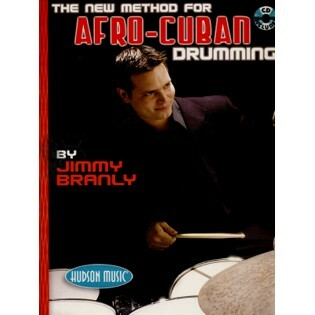 The New Method for Afro-Cuban Drumming features Jimmy's unique approach to playing contempoary Latin rhythms on the drumset. The material represents a fusion of his experiences growing up in Cuba and shows how he applied this knowledge when he got to the United States and began performing. Everything in this book has practical applications to many styles of music. Jimmy covers: getting the right sound, bongo bell patterns and the drumset, bass drum variations, and hi-hat variations, and much more. The 65-minute CD includes 97 demonstration tracks.